Religious people are significantly under-represented in British television, the UK communications regulator, Ofcom, has revealed in its 2018 report. The UK Christian website premier.org.uk noted, however that "although a lack of figures means the extent of the issue is unclear." 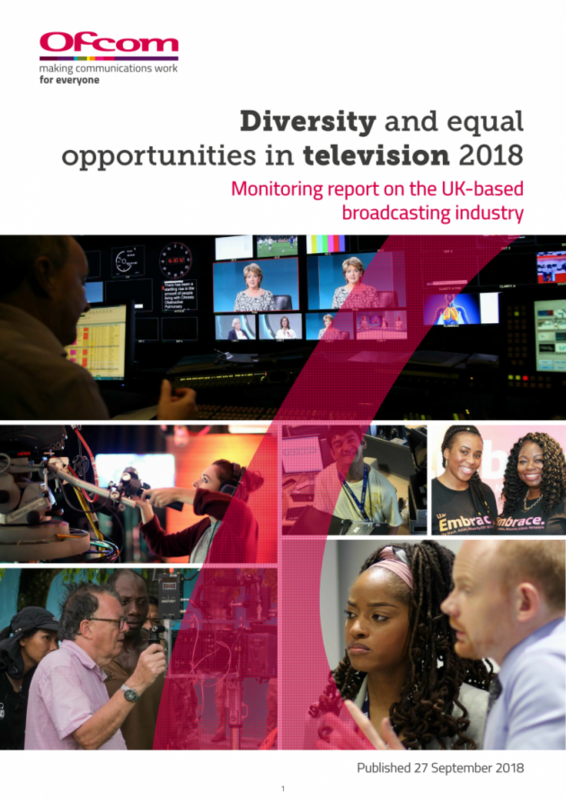 The Ofcom report was published on Sept, 27, 2018 and titled,"Diversity and equal opportunities in television 2018. Monitoring report on the UK-based broadcasting industry." The regulator told the country's five big broadcasters, "Better monitoring is essential to ensure that people from a range of religions and beliefs are represented in the broadcast industry and can help to support accurate on-screen portrayal that reflects audiences' own experiences and fosters cultural understanding." Ofcom found 22 percent of TV staff (excluding on-screen personnel) identify as religious - compared with 67 percent of the country's working population. "Broadcasters should ensure these are more consistent and that religion and belief is something all line managers are trained to be mindful of when supporting employees." The BBC, Channel 4, ITV, Sky and Viacom (the owner of Channel 5) were included in Ofcom's second annual Diversity and Equal Opportunities in Television audit. The report also notes that "People from minority ethnic backgrounds, those who self-define as religious, who identify as lesbian, gay or bi-sexual, or who are disabled are not uniform groups and should not be treated as such." Another caveat was that ITV, the major British commercial TV network was excluded from the religious diversity figures because it had not collected sufficient information of the faith backgrounds of its staff. Ofcom said: "Religion and belief is not an area of particular focus for any of the main five broadcasters, but they do have arrangements in place to promote equal opportunities in this regard." The report also found older people and the disabled were also underrepresented at the nation's biggest broadcasters. Six percent of staff in the TV industry identified as living with a disability - compared to 18 percent of people in the UK. Fifteen percent of workers said they were aged 50 or older - in contrast to 31 percent of the wider population. The report also said: "For many people, religion is a defining part of their life and should therefore be given greater focus. "Better monitoring is essential to ensure that people from a range of religions and beliefs are represented in the broadcast industry and can help to support accurate on-screen portrayal that reflects audiences' own experiences and fosters cultural understanding." While two percent of the UK population identify as gay, bisexual and lesbian - the Ofcom report found four percent of staff at the five broadcasters identify that way. "Across the UK-based industry 22 percent of employees self-define as religious, compared to 28 percent as not religious. Both the BBC (54 percent vs. 37 percent) and Viacom (45 percent vs. 37 percent) have more employees who selfdefine as not religious than religious, with over half of BBC's employees stating so." "In contrast, Channel 4 has a higher proportion of employees who self-define as religious compared to not religious (48 percent and 37 percent respectively), while Sky is almost evenly split (24 percent religious and 23 percent not religious)." "Compared to the UK population average, all of the main five broadcasters except for Sky appear to have a greater proportion of employees who self-define as not religious, and a significantly lower proportion of employees who self-define as religious." "Detailed monitoring is important to understand the profile of different religions across the industry and this has also improved." "Last year 16 percent of UK broadcasters monitored and provided Ofcom with this detailed information, and this year the figure has increased to 27 percent, but the industry needs to do more with close to three quarters of UK-based broadcasters not providing this detail." "Analysis of the breakdown of the different religious groups shows Christianity to be the dominant religion across the UK-based industry and across each of the four main broadcasters, which is the case across the UK population."